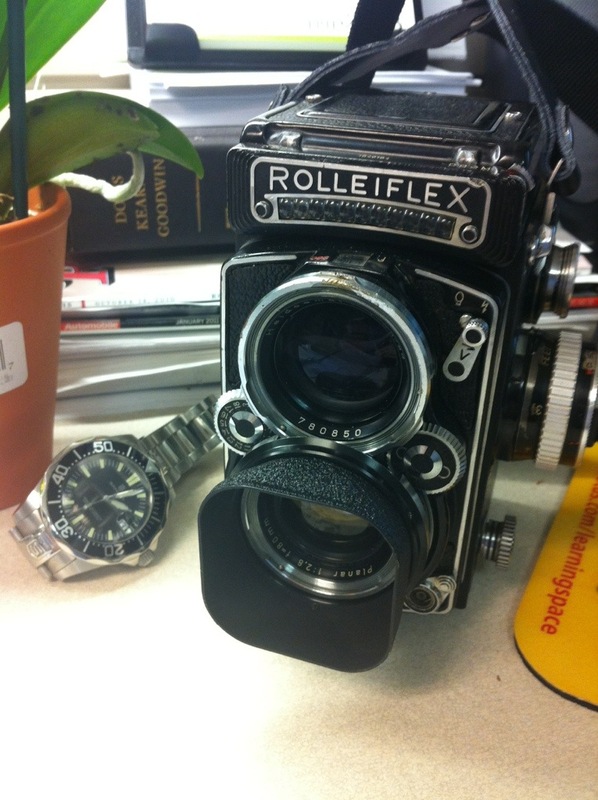 My beautiful Rolleiflex, all kitted out with a proper strap and lens hood now. The strap arrived maybe two weeks ago and the lens hood, an after-market metal hood with a lovely black crackle finish, arrived yesterday from Amazon.com. I was a tad worried about the lens hood because third-party Rollei accessories have a bad reputation, but this seems every bit as nice as the Rollei hoods and it’s a fraction of the price. $30 +/-, versus $200+ for genuine Rollei branded hoods. I’m using the thing, not collecting it!